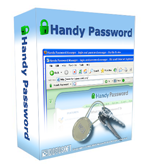 Handy Password manager is designed to help you auto fill forms and improve the quality of your web browsing. With Form filler - Handy Password manager you don't have to fill forms manually, invent and remember passwords. Besides, you can access your favorite Internet pages much faster than you could do without it. In addition, with Handy Password manager you always know where your personal information is stored and you can quickly access it through the browser window. If you need to find specific information such as your credit card details, you can do it in almost no time. These, and a bunch of other useful features, will help you optimize your online timing and enjoy Internet browsing to the fullest. How Does Handy Password Help You Save Time and Elevate Web Browsing Experience? Auto fill forms of different length and complexity with your personal information and submits them. It automatically logs into your mail and other accounts. Handy Password manager provides quick access to your favorite web pages with the help of bookmarks. You don't have to memorize lengthy passwords and other personal data. It saves your personal information and stores it in a secure database. It provides maximum security of your personal data. It creates secure passwords that you can use anywhere on the Web so you don't have to invent passwords by yourself. Automatic personal data search by flexible criteria. It allows printing your personal information. It allows performing quick web search. Time is a critical factor in the world of fast-growing information technologies, and you need to keep pace with the time, so do not hesitate to benefit from using our password manager with an "auto fill form" function - Handy Password! It will help you minimize your online time and save your money!